South Florida’s single source for installation, maintenance, weed and pest control, tree services and irrigation. Our comprehensive, concierge-style approach enables us to provide you with comprehensive, professional landscape services under one roof. From landscape installation, landscape maintenance (including lawn and ornamentals) and tree services, to pest control and spraying, and irrigation, you can count on us for absolute attention to detail – and to you. Using a single, competent and attentive landscape company like Rood ensures consistent quality. 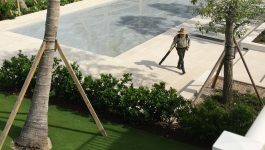 Putting us in charge of your commercial property, residential property or estate landscaping is like having a single doctor dedicated to monitoring your physical and mental health. When all your internal systems are in sync, you feel great; when all systems that comprise your ecological footprint are in sync, your property looks great and appreciates in value. 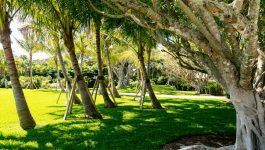 A well-conceived landscape architecture design begins with a vision; it is driven by a budget; and it is guided by one of the best Certified Landscape Architects in South Florida. As part of our signature concierge-style service we not only look at the job, but at the individuals involved. Our relationships with the area’s most highly respected Landscape Architects ensure that the chemistry and the expertise turn visions into realities. This is really the heart and soul of our business. It puts us in touch with every aspect of your property and calls on our every expertise. Landscape maintenance includes care for lawns and ornamentals, permanent structures and hardscapes. One call is all takes to prompt a response. We identify areas that need special attention and notify you immediately. And if a service takes us beyond our expertise, we will notify your vendor or call in one of our own select service partners. 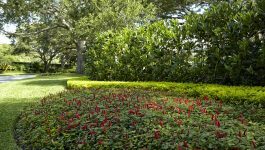 Provided through the expertise of our affiliate company, Treasure Coast Irrigation, we offer the very best in irrigation installation, automated monitoring and sprinkler maintenance. And Rood is a WaterSense® Partner. We employ best practices in water conservation, as specified by the US Environmental Protection Agency. If it falls within the scope of landscape installation, we can do it. The proper combination of materials (green whenever possible! ), training, manpower and equipment makes Rood the Go2Co . 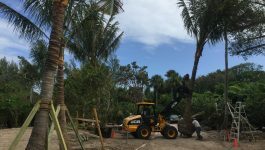 Tree planting, tree pruning, tree fertilization and tree removal require special expertise and equipment. Armed with horticultural knowledge – and equipment that includes truck-based crane that extends up o 78 feet – Rood arborists and technicians will make sure your trees enhance your home and property. 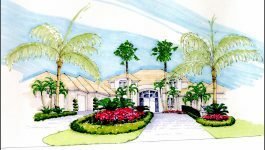 Combining landscaping with your lifestyle is what we call “landstyling.” Enhancing the livability and value of your property is achieved through the design and installation of landscape lighting, water features, outdoor cooking and entertainment centers, and the use of synthetic turf-artificial grass.